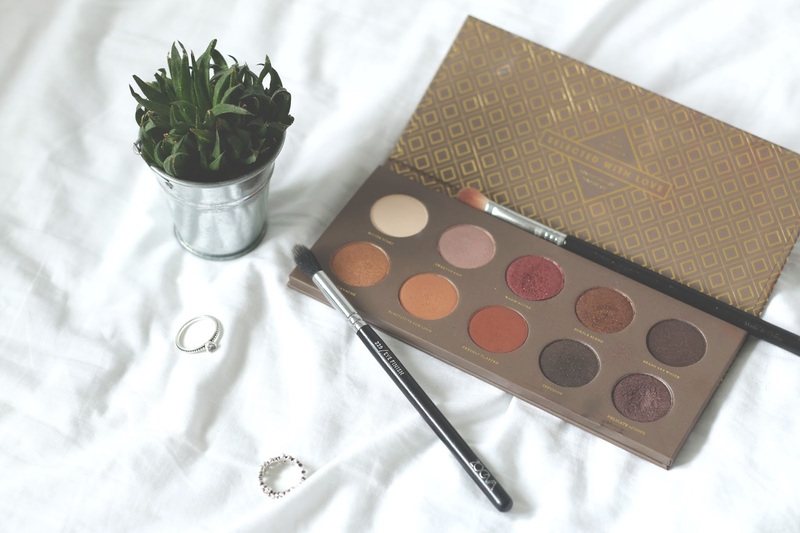 I’m sure everybody has heard of the Zoeva Cocoa Blends Palette, its definitely done the rounds on many blogs! Theres three eyeshadows in particular that I’ve been loving together recently and I just wanted to share with y’all, so here we are. 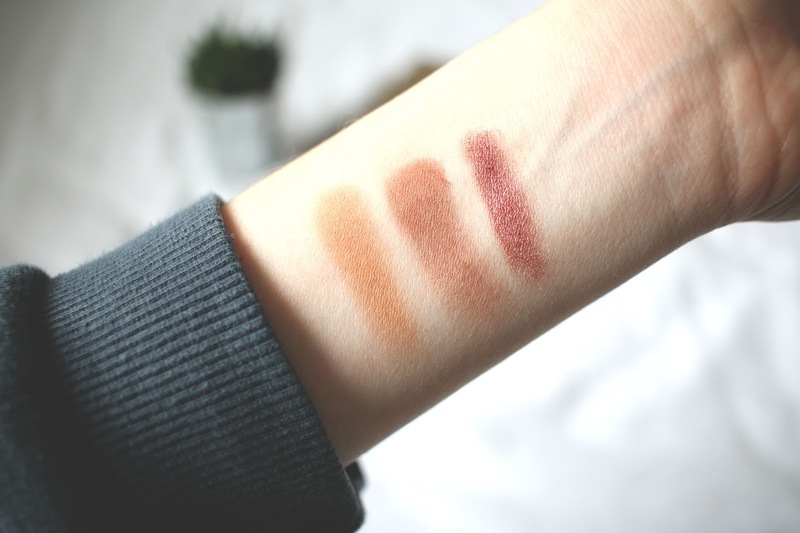 The swatches from left to right are – Substitute For Love, Freshly Toasted and Warm Notes. These are in order of how I apply them. I tend to use a big brush to apply Substitute For Love all over the lid, this is a gorgeous very warm toned brown, almost verging on the side of being orange. I blend this in and then go in with Freshly Toasted through the crease. This compliments the first shade so well, as its again a very warm toned brown but a lot darker. I blend this in with my Sigma blending brush. Finally to give the look a bit of a pop, I add in Warm Notes. This is a beautiful glittery cranberry shade, which is so highly pigmented. I take a small amount of this on my brush and add it to the outer corners of my eyes and follow it up into my crease slightly. This really brings the other two shades together and they all compliment each other so well. And then I’m finished! Sometimes I will add eyeliner if I’m feeling brave, or a dark eyeshadow along the lash line to give it a bit more definition. I think this is a very wearable look for both day or night (I’ve done both so far), so yeah there we have it! Have you ever tried the Zoeva Cocoa Blends Palette?